Broker/Owner Brian Molisse is pleased to announce that REALTOR Dottie McGrath has been named top agent for the month of November. Dottie McGrath is a longtime resident of Marshfield. 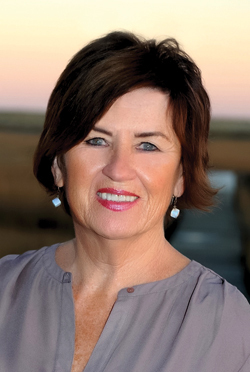 She has been listing and selling homes on the South Shore for the past 30+ years. Meeting new people and helping them reach their goals is a challenge that Dottie truly enjoys. It is especially gratifying to have repeat clients and referrals. Your concerns are her concerns. Regardless of what phase of home ownership you are in, first timer, upsizing, downsizing or vacation home, she will work diligently to get the job done and give the personalized service that her buyers and sellers have come to expect. “Her superior work ethic and dedication is second to none and has earned her an excellent, well-deserved reputation on the South Shore,” said Brian Molisse. “Whether buying or selling, you will find her experience and extensive knowledge invaluable.” When you work with the agents of Molisse Realty Group, you get a team of individuals who will do all they can to assist you with buying and selling your home. The goal of all of our agents is to provide the best possible service to our clients and customers. Dottie McGrath can be reached at 781-290-6053 or DMcGrath@MolisseRealty.net. Her office is located on 23 Snow Road in Marshfield. Molisse Realty Group has a total of four offices, with over 85 agents. Our other offices are in Scituate, Weymouth and our newest location Manchester-by-the-Sea on the North Shore. For more information about Molisse Realty Group, please visit www.MolisseRealty.com or call us at 781-837-5600. 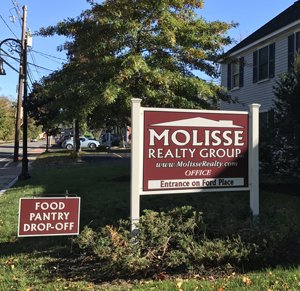 Molisse Realty Group in Scituate will be holding a Holiday Food Drive drop off on Sunday December 11th 10am-2pm and Monday December 12th 9am-2pm at our office parking lot at 28 Country Way. To access the Scituate office parking lot, turn onto Ford Place. 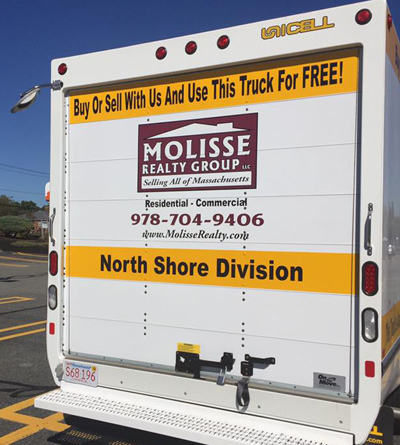 Look for the Molisse Realty moving truck, which will be transporting the donations to the local food bank. We will be serving hot coffee and cider to our generous contributors. The food drive will benefit the local food pantry in Scituate, who will then disperse out to the community who are served by the pantry. Members of the community are encouraged to bring non-perishable items only. A list of items that the pantry is hoping to collect are; Soup (Cream of Mushroom or Chicken), Broth (Chicken or Beef), Pasta Sauce, Tomato Sauce, Rice, Canned Meats (especially canned ham), Hash, Beef Stew, Canned Fruit (Peaches, Pineapple), Juice, Coffee (regular, decaf, ground and instant), Peanut Butter, Jelly, Cookies, Crackers, Pancake Mix and Syrup. The Scituate Food Pantry is a 501C non-profit organization sponsored by the Scituate Clergy Association. Our all-volunteer staff distributes the food from a facility generously provided by the Satuit Lodge of Masons. The Pantry works with churches, clubs, schools and individuals throughout the town to bring awareness of the issue of hunger in our community. For more information go to www.scituatefoodpantry.org. Molisse Realty Group has a total of four offices, with over 85 agents. Our other offices are in Marshfield, Weymouth and our newest location Manchester-by-the-Sea on the North Shore. For more information about Molisse Realty Group, please visit www.MolisseRealty.com or call us at 781-544-2000. 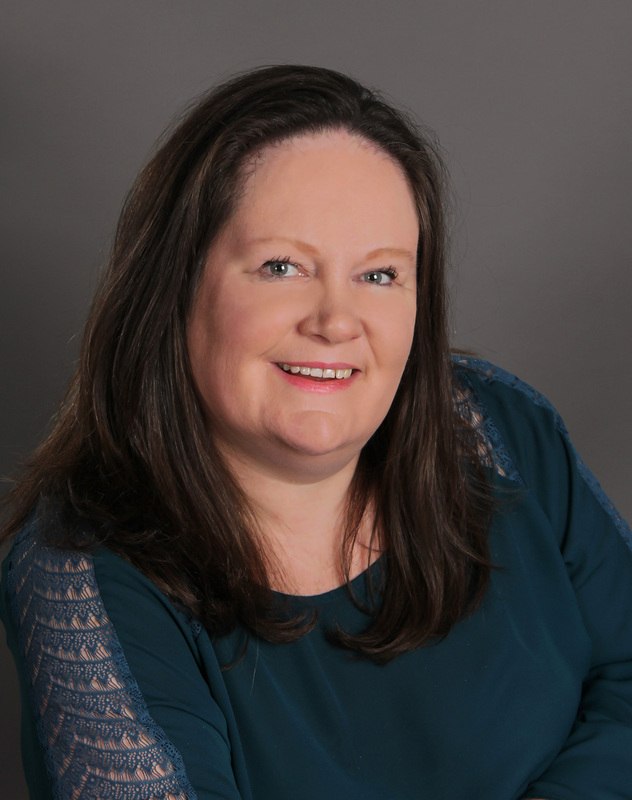 Molisse Realty Group proudly announces the addition of top Realtor® Margaret Maher Sheahan to its growing team in Manchester-by-the-Sea. Margaret is a seasoned realtor that brings over 11 years of experience to the Molisse team. 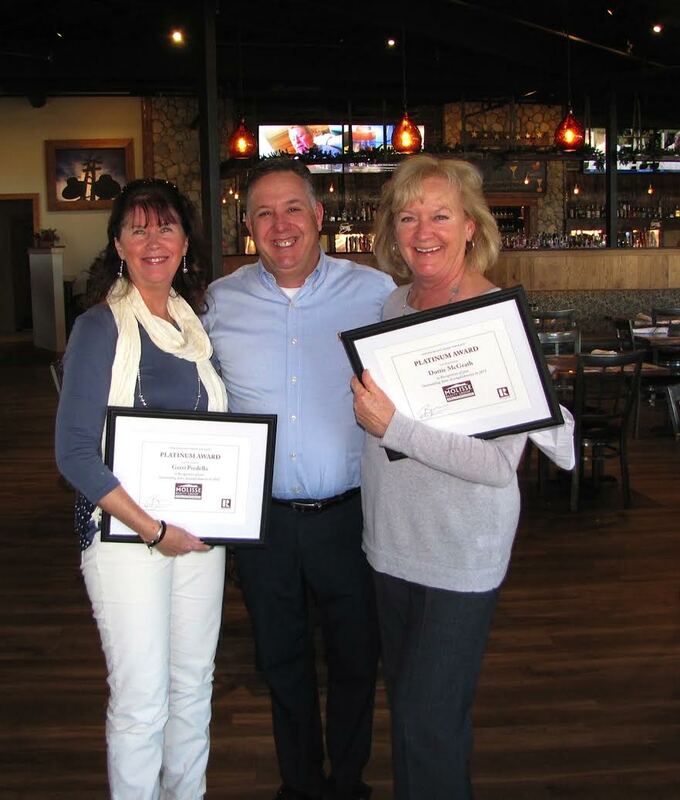 Along with being a realtor with NSAR, Margaret is also a multiple award winning sales agent. Margaret has resided in Manchester for 16 years with her husband, Donagh and son Emmet. She is currently Co-chair of the Manchester-by-the-Sea town Welcome Committee, which seeks to help new residents acclimate. She is also a member of the Manchester Cultural Council. Molisse Realty Group was founded in 2008 and has a total of four offices, with over 85 agents. Our newest location is at 40 Beach Street, Suite 302, in Manchester-by-the-Sea, MA. Our other offices are located on the South Shore, in Marshfield, Scituate and Weymouth. For more information about Molisse Realty Group, please visit www.MolisseRealty.com or call us at 978-704-9406. What a busy year this has been in 2016!! We opened two new office locations in Scituate and Manchester-by-the-Sea. 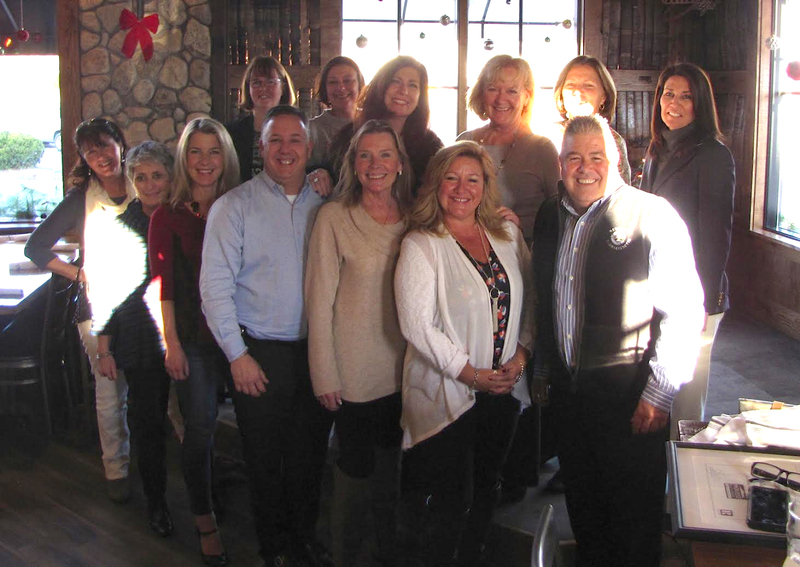 Our Broker/Owner Brian Molisse has been busy building a strong team of Agents and networking with our local realtor boards, chamber of commerce and state/national realtor organizations. 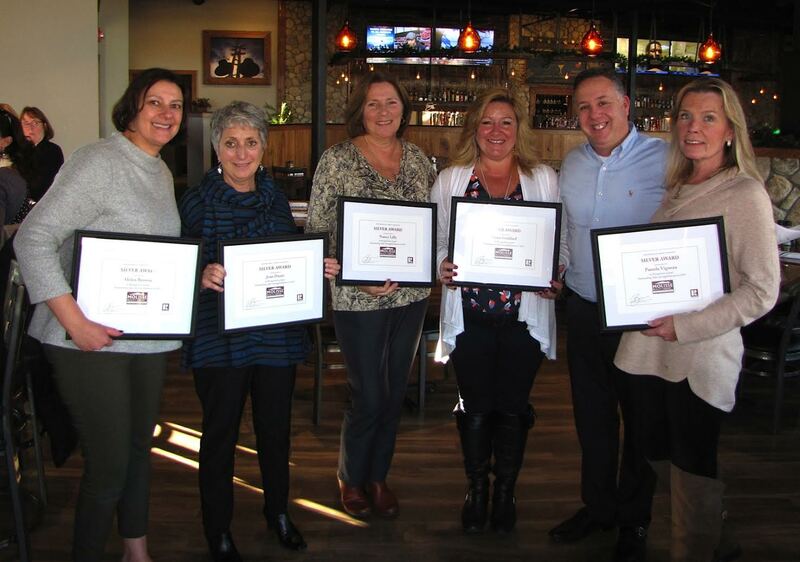 We finally had a day to take time and honor those agents that make Molisse Realty Group a great company to be a part of. These real estate professionals have been dedicated, focused and exceeded their own expectations in 2015. They all exemplify our brand’s commitment of extraordinary service. 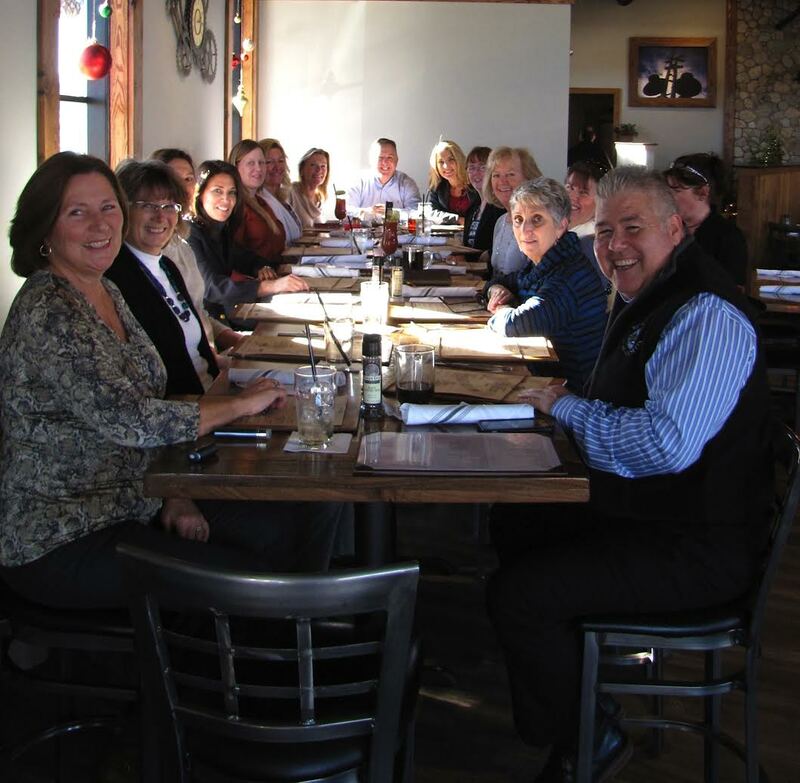 All our top agents from 2015 enjoyed a fabulous lunch and award ceremony at Station Eight Restaurant in Marshfield. We applaud their achievement! Congratulations to our top performers of 2015! 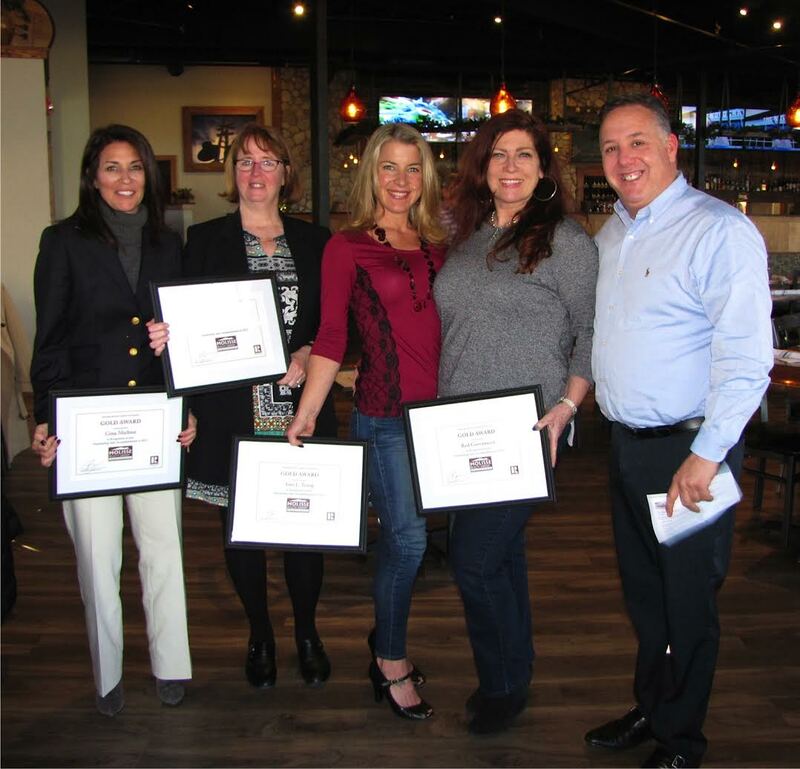 Great job to all awardees at Molisse Realty Group. Scituate, MA– Broker/Owner Brian Molisse is pleased to announce that REALTOR Jackie Braga has been named top agent for the month of October. 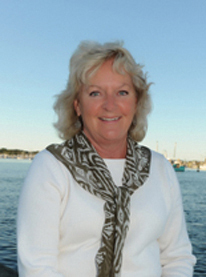 Jackie has been a successful South Shore MA Realtor for over 30+ years and member of the Plymouth Association of Realtors Board of Directors for the last 4 years. She joined Molisse Realty Group 1 year ago when her brokerage Braga & Associates merged with Molisse Realty Group. With her experience and extensive knowledge of the South Shore means that each of her clients finds just the right location that suits their lifestyle. 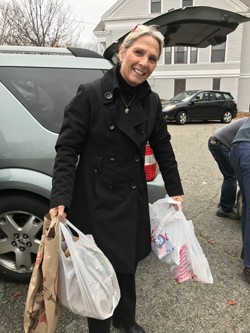 At her office in Scituate she contributes to the community as a drop off location for the Scituate food pantry. When you work with the agents of Molisse Realty Group, you get a team of individuals who will do all they can to assist you with buying and selling your home. The goal of all of our agents is to provide the best possible service to our clients and customers. Jackie Braga can be reached at 617-733-9218 or JBraga@MolisseRealty.net. Her office is located on 28 Country Way in Scituate. A deeply knowledgeable professional and a lifelong hard worker. Manchester-by-the-Sea, MA– Broker/Owner Brian Molisse is pleased to announce the grand opening of his fourth location, in Manchester-by-the-Sea, on the North Shore! Molisse Realty Group first opened its doors in May of 2008, in a small office located on Rte. 53 in Hanover, MA. 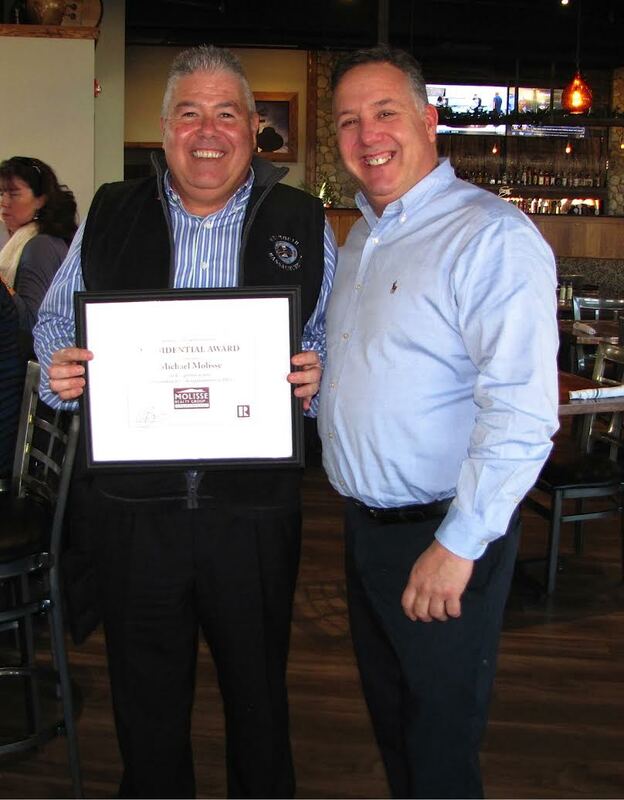 Brian Molisse, Broker/Owner and sole proprietor of the company began the business as a one man operation. Though starting alone, Brian had a vision in mind; to open a full-time, full service real estate company, dedicated to the principles of honesty, integrity, and hard work. Brian is seeing his long term goals become reality through the continued growth and accomplishments of his company. When you work with the agents of Molisse Realty Group, you get a team of individuals who will do all they can to assist you with buying and selling your home. The goal of all of our agents is to provide the best possible service to our clients and customers. When you enlist an agent from Molisse Realty Group, you can be assured that your best interests will always come first. We will do everything in our power to make your home buying or selling experience a pleasant and satisfying one and will be there for you long after the transaction has closed. Molisse Realty Group has a total of four offices, with over 85 agents. Our newest location is at 40 Beach Street, Suite 302, in Manchester-by-the-Sea, MA. Our other offices are located on the South Shore, in Marshfield, Scituate and Weymouth. For more information about Molisse Realty Group, please visit www.MolisseRealty.com or call us at 978-704-9406. 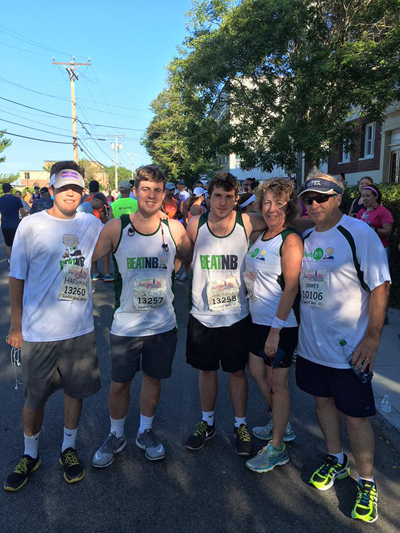 Jim O'Sullivan, Realtor® at Molisse Realty Group, ran last weekend at the Falmouth Road Race on Sunday August 21, 2016. Jim and his family ran for, Save Kids with Cancer, a fund raising and awareness organization for Neuroblastoma. His cousins, Patrick and Dina Lacey’s 12 year old son, Will, has been battling Neuroblastoma since he was 7 months old. Will has been an amazing warrior with this journey. Will has endured multiple treatments, procedures and surgeries to fight this unimaginable childhood cancer. With the amazing research and treatment from Doctor Giselle Sholler, Will continues to fight and is seeing success against this deadly disease called Neuroblastoma. He has currently been off treatment for three and 1/2 years and has been able to live the happy quality life of a 12 year old. He plays his all-time favorite sport Hockey and will enter the 7th grade in middle school this fall. Tufts New England Medical Center in Boston has approved the treatment. Pediatric patients in the Boston area can now receive care and treatment closer to home. Thank you Jim, you are an inspiration, let’s beat cancer altogether! Brian Molisse attends 2016 Realtor Day on the Hill in Boston today, June 21st. Each year Realtors from around the state gather at the Massachusetts State House on Beacon Hill for a continental breakfast and networking with their local representatives learning and discussing the key upcoming legislative issues affecting Real Estate and private homeownership. Also attending with Brian this year was Gina Michini of the Marshfield office. Farmers Markets have been making a comeback for quite a few years now, just about every other town has one. If you haven't visited one, here are a few reasons why you should. Pick up something you have never tried before! Aside from having fresh produce these markets often have artisans who craft soaps, dog treats, honey, cheese, jams...the list goes on and on. 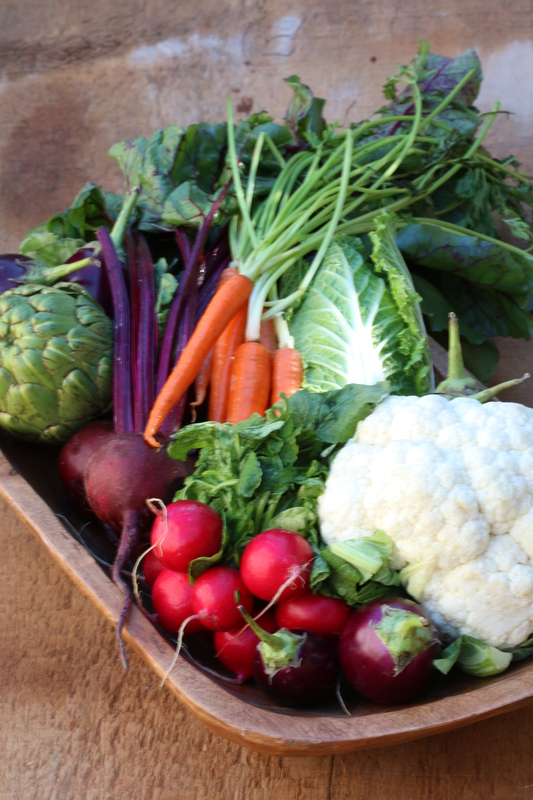 You will know where your produce and crafted items come from. It's fun to talk to people who are passionate about the products they provide. The farmers and vendors take great pride in their offerings. 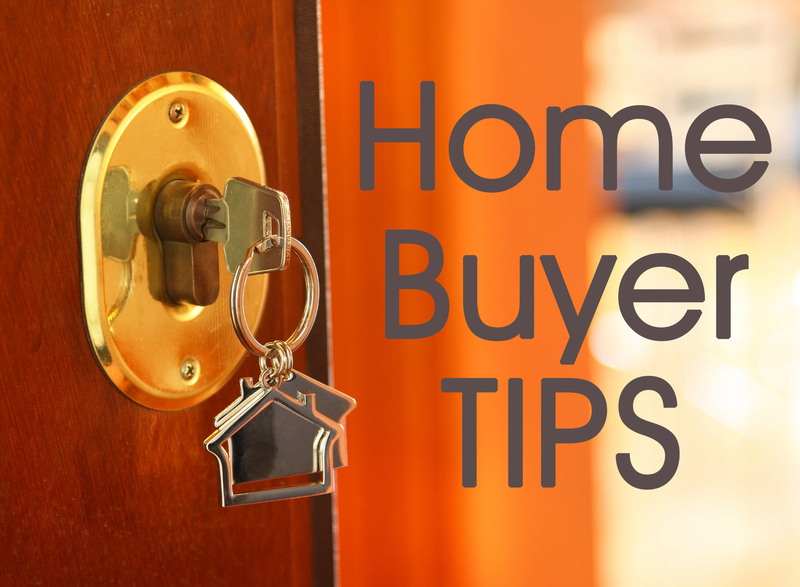 We have had a couple of blog posts giving advice and tips to Sellers, but what about Buyers? Here are a few things to get you started in the journey to buying your next home. 1. Work with a local Real Estate agent. Local agents will know the in's and out's of the area you want to move to and can be a vital asset in getting new property listings and information as soon as it becomes available. 2. This market is going crazy and homes are not staying on the market long, try your best to be educated about the market you are shopping in. Be ready to make an offer if you walk into "The One"; this includes being pre-approved with a lender and having a pre-approval letter, and also having a check handy for a good faith deposit. 3. Location, Location, Location! You love the neighborhood but only "like" the house, consider making improvements over time to create the home you will love. 4. Keep re-sale values in mind. Life changes, sometimes buyers think they are going to live somewhere forever but then land that amazing job...across the country! Getting the most out of your home sale can make that move a little less painful for your wallet. 5. Look past the furnishings and decor. Staged homes look great but what will it look like when you move your stuff in? Try to imagine your couch, coffee table, etc. in the living room. This will also apply to homes where the taste of the owner may not be the same as yours; again, try to imagine your furniture and belongings in the house.